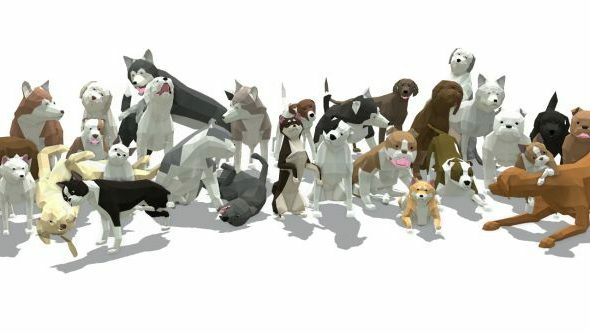 Home Free is not only a game name I keep accidentally typing as “Gone Home” but also a procedurally generated survival game about being a dog. You’re lost in a large city, all on your lonesome, foraging for food, trying to make dog-friends and avoid dog-enemies and generally being a dog. That’s something the internet is really into these days, in case you hadn’t noticed, so naturally it’s on Kickstarter after $50,000 and already well on its way there. Despite committing the cardinal sin of having a trailer as its Kickstarter video rather than something that more thoroughly explains how money will be spent, it’s very enticing. Of course, there’s loads more details in the description, laying out the various paths to a full stomach. You can perform tricks in the hope of gifts, steal food or scavenge from bins. As you saw in the trailer, avoiding other dogs is a quick way to make sure you don’t get hurt, but teaming up could mean more food for everyone. It also comes with a multiplayer component in the form of developerKevin Cancienne’s original prototype Dog Park, which is all about wrestlin’ with other dogs. It judges a winner by who has the most fun, modified by various factors and actions in game, including chasing, being chased and generally messing about. He’ll be upgrading it from the version that has been shown at events to include more game modes with different fun goals. He’s on just under $30k of his $50k goal after a couple of days and looks likely to bust through the target. A copy of the game will cost a $15 pledge and has a planned delivery date of November 2016. That’s a sensibly long time away but do note that Kickstarter slippage algorithms (trademarked Ben Barret, 2013) would suggest that you’ll be waiting until early 2017.